Ever feel like you're trying to beat the holiday rush? Running out of time to get everything done? Or that you’re skating through the Christmas season? 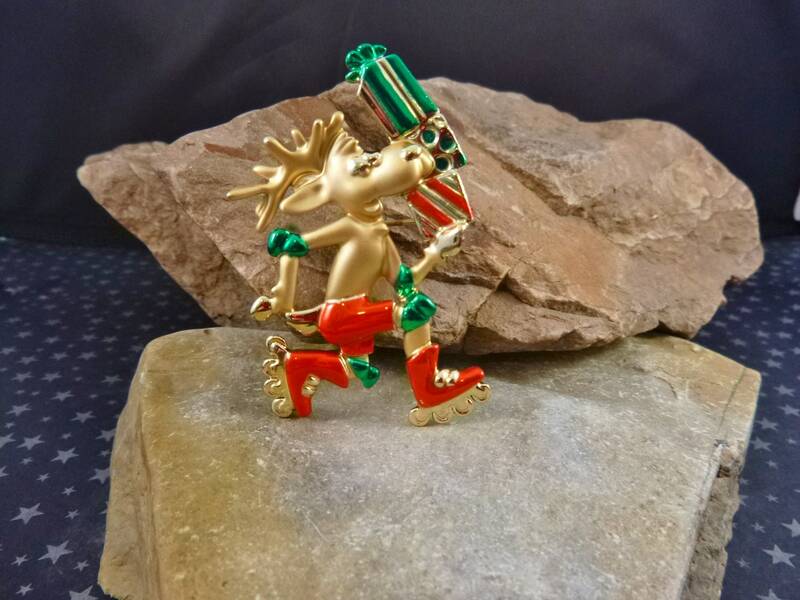 This whimsical moose with presents piled high seems to capture it all. This fun vintage pin is marked “© Danecraft” on the back in script – for the manufacturer; a company founded in the l930s in Providence, RI. 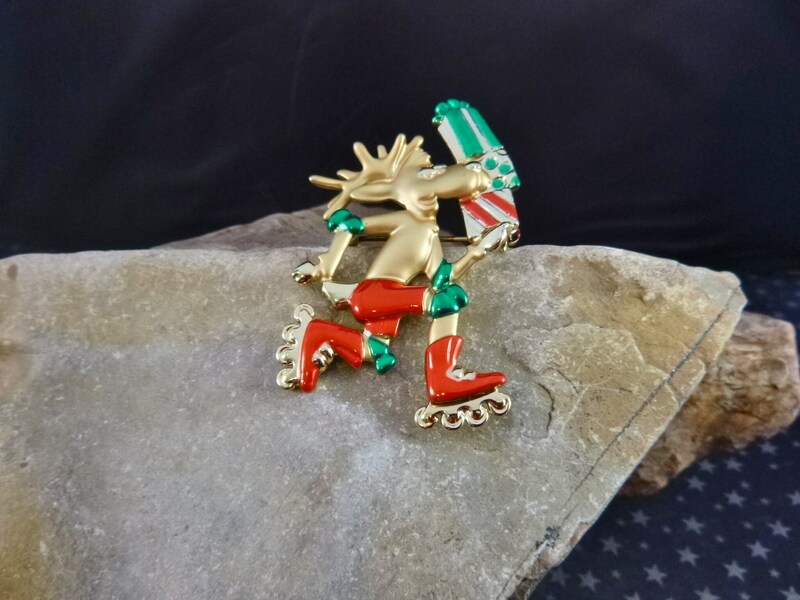 The pin is made of a substantial feeling gold tone metal with both matte and shiny portions and highlights of red and green enamel. 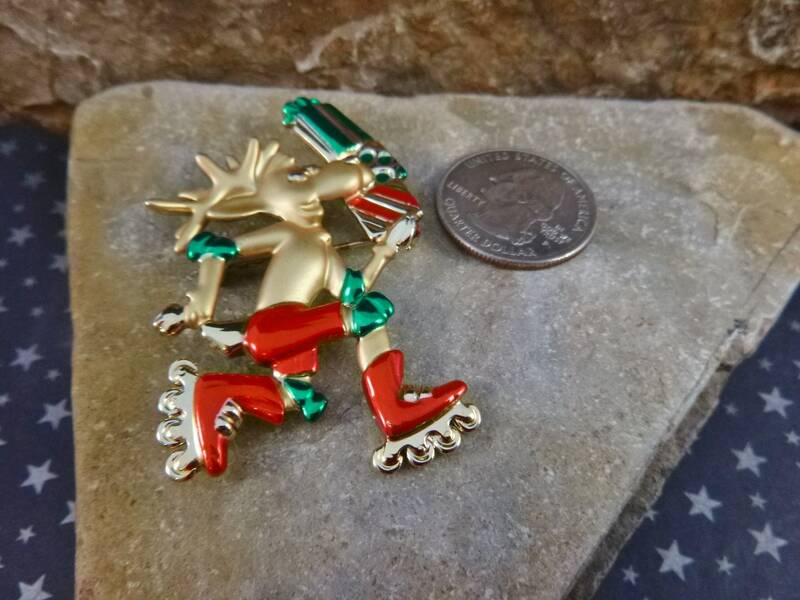 The pin shows minor wear and is in very good to excellent vintage condition, with a strong and secure pin and clasp and bright enamel and metal. 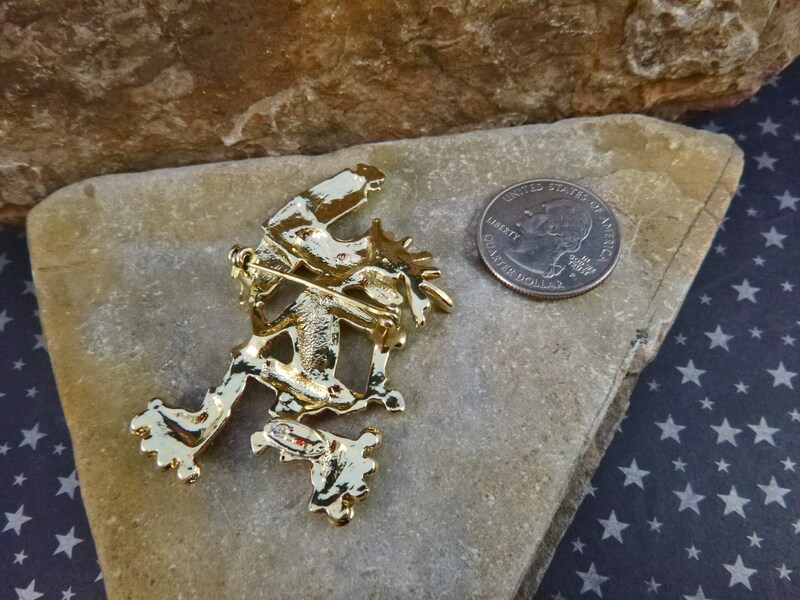 It measures 2.5” tall and 1.5” wide. If you love whimsy or know someone who does, it’s the perfect adornment for a holiday lover. 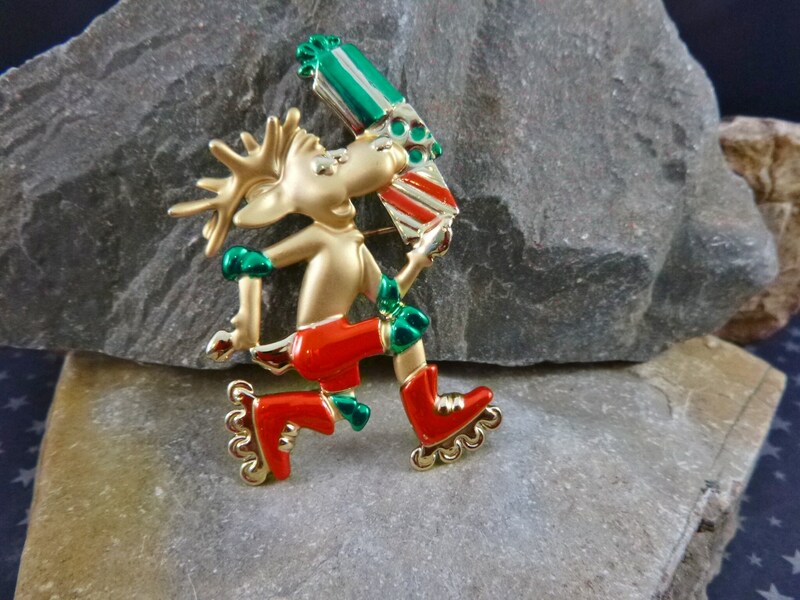 The pictures offer additional perspective on this quite cute and festive vintage pin. (On a few pictures what looks like white spots is just light reflection; no missing enamel).